This recipe is super easy and incredibly tasty. A while back Pete and I attended the Barilla Cooking School in Annandale, Sydney where we learnt to cook a few dishes from the region of Abruzzo. Abruzzo is located on Italy's Adriatic Coast where the cuisine is based on lamb and fish as well as local delicacies like saffron and garlic. This dish is traditionally served with pasta, but if you are following a paleo or primal lifestyle simply replace the pasta with some steamed greens or sweet potato mash or as a treat - some gluten free (non-corn based) pasta. Speaking of lamb, did you know that the average Australian will eat 1,151 lamb roasts in their lifetime? Whilst I love a good lamb roast as much as the next person, there are so many different ways to cook with this delicious ingredient and this is definitely one recipe enjoy regularly at our house. Lamb also has more nutrients than chicken, pork, snapper and salmon – it's packed with iron, zinc, protein and omega-3. Once golden, add the bay leaf and the lamb and brown slightly. Add a splash of red wine and allow to evaporate. Add the tomato passata and bring to a simmer for 10 minutes. Season to taste. Whilst this is bubbling away, saute the artichoke in olive oil and rosemary ( sprig in tact), then add white wine and saffron. Season to taste. Allow to simmer for another 10 minutes, remove from heat and serve over your sweet potato mash ( or GF pasta) with greens on the side or a big side salad. 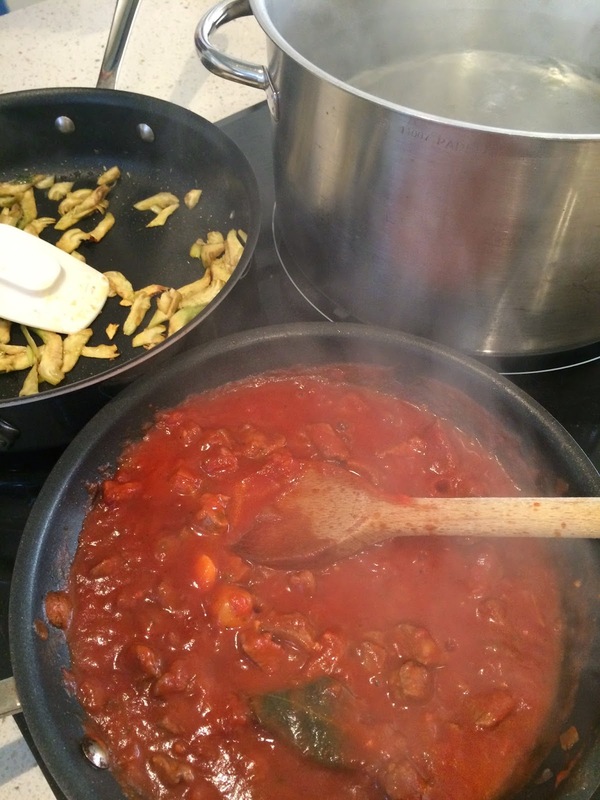 Garnish the lamb ragu with the artichokes and drizzle with some more olive oil. Check out other recipes and find out more about why We Love Our Lamb. I never ate lamb ragu with pasta in my pre-paleo days. Keen to try it over steamed veggies.